It is difficult to overestimate the importance of the stapler for the office worker. Especially when he suddenly breaks down in front of you and a pile of Unfiled pages. In this case, you need to repair the stapler. - pliers with tapered spouts. Take the stapler with two hands – one for the plastic case, the second – the metal part with braces and pull them in different directions until the body is released. So you will loose field of work. Remove all staples from stapler. Then you will see how many staples are stuck on the way out and interferes with the operation of the stapler. Now using tweezers, try to remove a stuck staple. If not, use a small screwdriver. Proceed carefully, do not damage the mechanism, consisting of springs and firing pin. Don't stop until you clear all the staples. 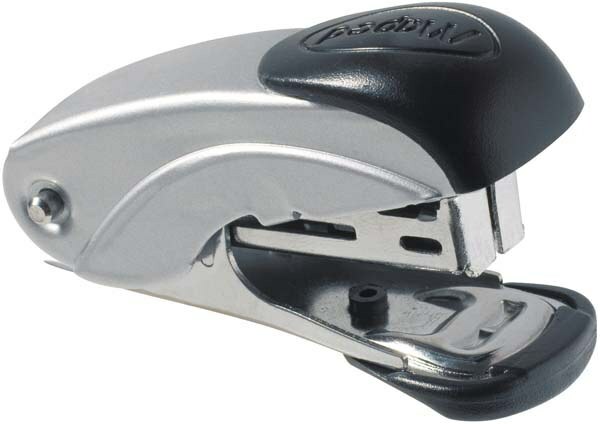 If you have a powerful stapler that is designed for the connection of thick paper, cardboard or photographs, staples are longer. Consequently, it is more difficult to extract. In this case, disconnect the stapler from the body. Next, carefully remove the spring. Most importantly - make sure it is not lost. Keep in mind that some staplesx when removing the spring it can dramatically rebound. Armed with a pair of pliers to pull the jammed staples. In any case, do not try to do it yourself, otherwise you can hurt yourself. A powerful staplerx pretty sharp mechanism, so you need to be careful. If no result, then hit several times with a stapler on a hard surface to loosen the staples on the inside. They may slightly deform, and subsequently, they can easily pull out. Next, carefully slide the spring into place. Insert the body. Now your tool is working fine. Remember, proper use is the key to a long operation. Therefore, do not overload the stapler with staples and use only those that match the model of the stapler. Most of the problems associated with the operation of the stapler occurs as a result of careless handling. For example, sharp blows to the body, frequent falling on the floor. In most cases, the stapler can be repaired on the job, without the help of the wizard. And only in rare cases, it is better to replace a new one.